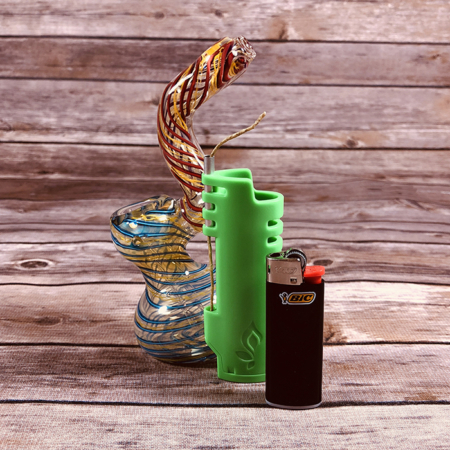 Enjoy a unique box full of awesome smoking accessories, gadgets, and unique items. 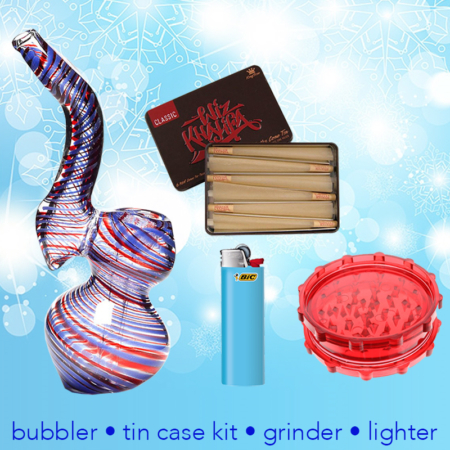 This gift box will include 1 glass piece and 10 smoking accessories. 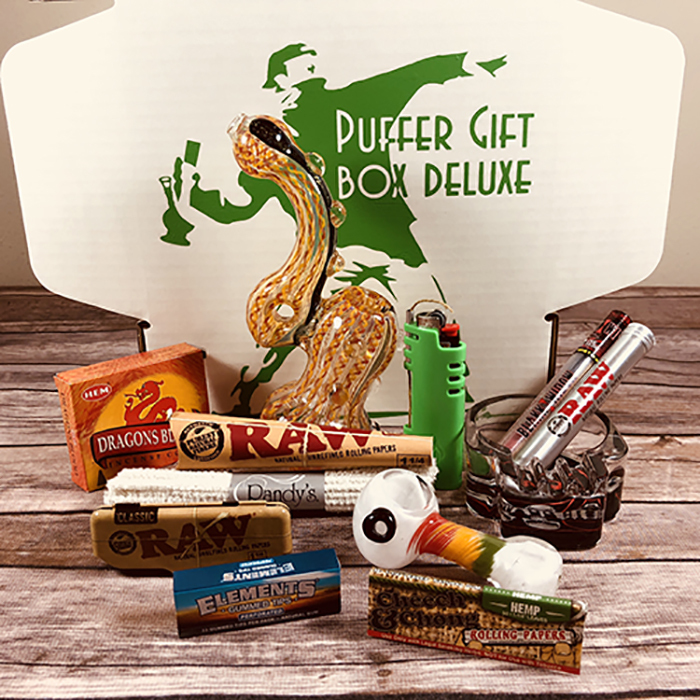 This is a one time purchase for one box and will include randomly selected items from previous boxes. 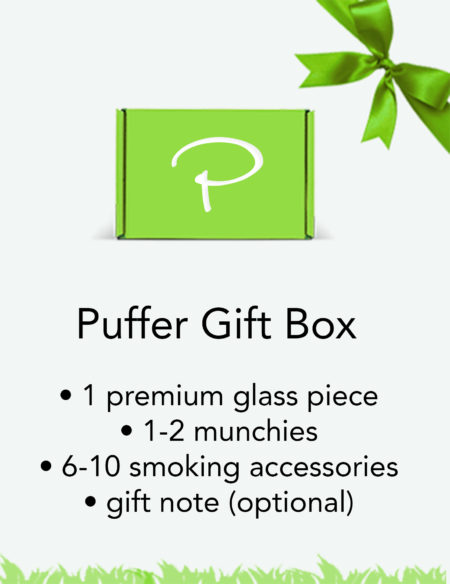 Gift Boxes ship within 2 business days. Gift Boxes sell out quickly. If out of stock, please choose one of our subscription options from the homepage.